What is the basic difference between 32-bit and 64-bit operating system? What is deadlock? What are the conditions of deadlock? Can you write a code to show deadlock. What is the Bankers Algorithm? What exactly do you mean by UDP? State three differences between HTML and XML. Given a pile of 9 objects. 2 players take turns to pick 1, 2 or 3 objects. The last one to pick is the looser. What is the winning strategy? What is the winning strategy for 9 coins? Define stored procedure. What are its advantages and disadvantages? How do you sort a linked list using the most efficient algorithm? Design a Memory Management System. Problems to find median of two shorted arrays. Different types of system calls. What are different types of Interrupts? What happens when an interrupt is called? Find if there is a loop in a linked list. Write an algorithm to find the depth of a binary tree. Write an algorithm to separate all ones & zeroes in an array. How to detect the starting point of loop in a linked list which has a loop? What was your job in your final year project? What do you think is your biggest achievement? Why? Whom do you idolize in the business industry? What do you think makes you different to work in Microsoft? 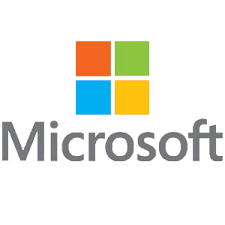 Tell any 4 of your favourite products from Microsoft. Introduce yourself and tell us something apart from the Resume. Some questions based on your resume. 0 on: "Most Frequently Asked Microsoft Interview Questions For Freshers."